With the Mazda RX-Vision (we also might call it RX-9) the successor to the RX-8, was presented at the Tokyo Motor Show 2015. 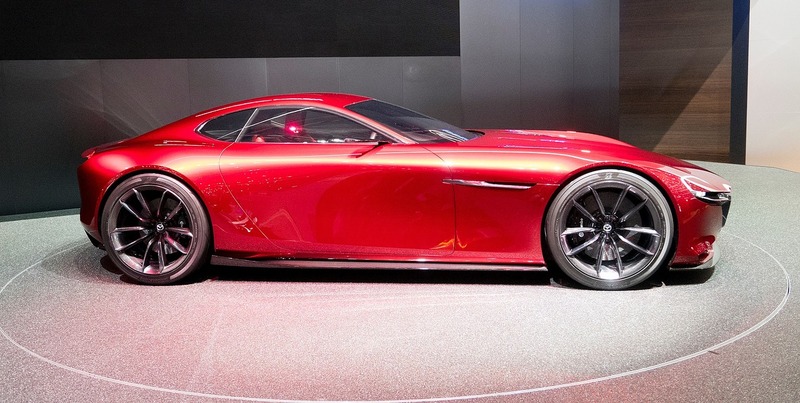 Like its predecessor, the RX-9 is planned to be powered by a rotary engine, which can bee seen as a trademark of Mazda. The market release of the Mazda RX-9 is planned for 2020. Mazda has always stuck to the unconventional technology of the rotary piston engine. The new generation of the rotary engine named SKYACTIV-R now contains the developments of recent years. Apparently, Mazda has made big progress in the further development of gasoline and oil consumption technologies. 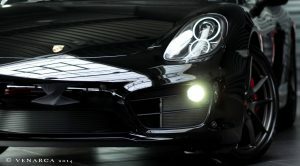 It should be noted that these advances did not come about with the use of turbochargers. The design of the RX-9 was awarded the “Car Design Award 2016” in the category “Concept vehicles”. It fits in with the current trend of recent years. Similar design elements can be found on the Aston Martin DB11 or the Mercedes AMG GT. The striking bonnet and the short tail mark the 4.38-meter-long two-seater.